Like the name says, this Toro is absolutely exquisite. 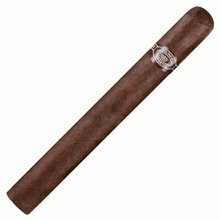 A medium-bodied cigar, it is crafted from vintage Honduran and Dominican long filler tobaccos. It is wrapped by a flawless, oily Connecticut Medio Tiempo wrapper. It is bold, rich and creamy with hints of nuts and coffee coming off of its dark wrapper. Packaged in a pack of 5.